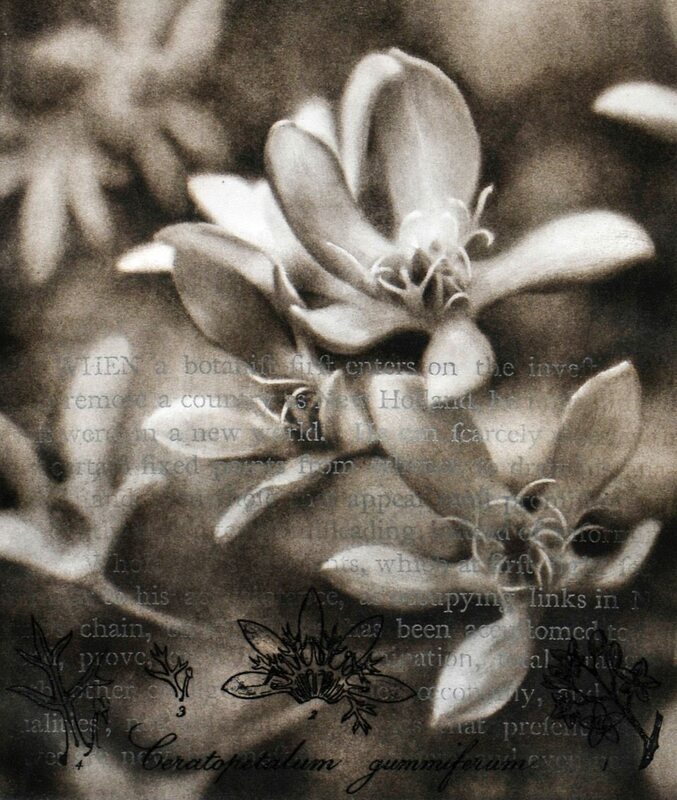 Image credit: Christine Johnson, Ceratopetalum gummiferum, 2014, a series solar plate engraving. Collection of the artist. Voyages Botanical was inspired by Christine Johnson’s time as a Creative Fellow at the State Library of Victoria. Her research, which drew on the library’s collection of rare books of botanical illustration, took her back to the pioneering work of early botanical artists including Sydney Parkinson, Pierre-Joseph Redouté and Ferdinand Bauer. This was the beginning of Johnson’s own creative journey that at once honours our past, present and future. Johnson’s aim is simple: to tell the story of these early years of the exploration of Australia – but embellishing it by blending art with science, cartography and facsimiles of writings from the explorers’ journals, including the flowers they picked along the way.